There could be many reasons that your fireplace isn’t functioning correctly, and we want to help you solve the problem. Below is a list of potential issues and their respective solutions. Note that this list of problems/solutions is simplified, and a correct understanding of fireplaces requires an expert-level knowledge of airflow patterns. The flue is the passageway smoke travels up and exits the chimney. The flue lining is the interior lining of a masonry chimney. This lining protects your chimney walls from heat and corrosion. The chimney damper is the moveable door that prevents downdrafts when there is no fire in the fireplace. The chimney crown covers the top opening of the chimney. Unlike chimney caps, the chimney crown covers the entire top of the chimney. They are essential because they protect the chimney structure from water exposure. One of the most inexpensive ways to prevent chimney damage is to have a chimney cap installed. They keep water, animals, and debris from entering the flue of your chimney. The smoke shelf’s job is to deflect downdrafts and prevent rain from penetrating the chimney. It is located at the bottom of the smoke chamber which connects the flue and the fireplace. The firebox is the formal name for the inside of the fireplace. This is where you build a fire. The firebox is usually made of firebrick and is designed to withstand heat. The hearth is the floor of the fireplace. The hearth provides a fireproof area to build a fire. Having doors that open and close on your fireplace is an excellent way to keep air from going up the chimney and provide an added protection against cold air entering the room when you don’t have a fire burning. Can I use my chimney after a chimney fire? Chimneys aren’t built to withstand the heat of a creosote fire without significant damage. It is critical that you have your fireplace inspected after a chimney fire. During the inspection, a chimney sweep will check your chimney for damage, and clean it out if necessary. Creosote expands during a chimney fire and will wholly or partially block your chimney. Your chimney will not be able, and you shouldn’t use your chimney until a professional chimney sweep has inspected it. Can I use my gas appliance if the power is out? Yes. If you have a gas fireplace or stove with a standing pilot, it will light during a power outage since it doesn’t require any electricity to activate the pilot flame. If your gas fireplace was manufactured in recent years, it might be equipped with an energy-saving ignition system that requires electricity to spark the pilot flame each time it is ignited. However, many models have battery backup systems that can be used to light the pilot flame during a power outage. Batteries should only be used in the event of a power outage because battery longevity can be affected. The chimney is usually the most overlooked part of the home, yet is one of the most essential. The fact that chimneys typically do their job pretty well, even when neglected, contributes to this idea. However, they perform many vital functions and should be adequately maintained. Chimney fires are among the more common types of fire incidents reported in the United States. The term “chimney fire” encompasses any fire incident which is related by cause or proximity to a chimney. The best method for avoiding a chimney fire is prevention. A creosote sweeping log has active minerals that help dry out the creosote that has built up in your flue. When you burn a creosote sweeping log the smoke is charged with additives, which rise and attach themselves to creosote deposits. Burning one creosote sweeping log in your fireplace will reduce the weight, thickness, and volatility of creosote. The creosote sweeping log is accepted by the Chimney Safety Institute of America. Creosote sweeping logs are a useful addition to annual chimney inspections and cleanings. However, CSL’s shouldn’t take the place of regular chimney inspection and cleaning. Creosote sweeping logs cannot tell you if your chimney is blocked or if there is any structural damage. How do gas fireplaces vent? Gas fireplaces are typically direct vent. Direct vent fireplaces draw fresh air into the firebox from outside. Direct vent systems are the most popular today because they are convenient and safe. Homeowners that have direct vent fireplaces can be confident that all odors and pollutants are being vented outside of their home. How do I prevent chimney fires? The job of the chimney is to efficiently carry flue gases from your fireplace out of your home. Something that many homeowners don’t often consider is the potential for chimney fires. In fact, most chimney fires go undetected. Slow-burning chimney fires don’t generate enough heat to be noticeable until a later inspection, but the damage can be severe. Dirty chimneys cause chimney fires. Your best defense against a chimney fire is a regular inspection and sweeping. How does a chimney sweep clean my chimney? When you call a chimney sweep from Emberstone Chimney Solutions, you are getting a CSIA certified chimney sweep. This means that all of our expert technicians are following strict guidelines that will guarantee a professional job. We also ensure that there will be no mess made in your home. We place a clean floor covering down before beginning work, and make sure to clean up our workspace after the cleaning has been completed. Additionally, our specialized tools and vacuums prevent any soot or dust from entering your home. Every chimney is different, but on average the cleaning will take about 45 minutes to an hour to complete. How Often Should I Have My Chimney Swept? 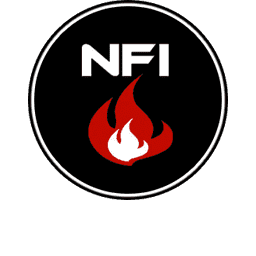 The National Fire Protection Association says, “Chimneys, fireplaces, and vents shall be inspected at least once a year for soundness, freedom from deposits, and correct clearances.” Abiding by this national safety standard is the best way to keep your chimney in great shape. Even if you don't use your fireplace regularly, an annual inspection is still advised. Animals can build nests, and there can be other deterioration that makes your chimney unsafe to use. During these inspections, our technicians can identify and fix any problems that are affecting your chimneys performance. If you haven’t had your chimney checked in over a year or if you are having performance issues with your chimney don’t wait to give us a call. Waiting almost always results in additional repairs. How to properly store and burn firewood? Quality firewood will help your wood stove burn cleaner and more efficiently. Green and wet wood can cause smoking problems, odor problems, and rapid creosote buildup. Freshly cut firewood contains 45% water, while well-seasoned firewood generally contains about 20%-25%. Seasoned firewood produces more heat, and is easier to start. If your wood is cut six months to a year in advance and stored correctly, the sun and wind will naturally season it for you. If you burn green wood, the heat produced by combustion must dry the wood before it burns, using up most of the energy in the process. Bad storage can ruin even well-seasoned firewood. If exposed to constant rain or snow, it will reabsorb large amounts of water making it unable to be burned. It is best if the wood is stored off the floor and away from moisture when weather threatens. It is imperative that the fuel be dry as possible. Do not burn any construction scraps of treated or painted wood, especially treated wood from decks or landscaping ties. The chemicals used can release dangerous amounts of arsenic and other very toxic compounds in your house. If the "seasoned wood" you bought turned out to be pretty green, and you elected to try to burn it, be sure to have the chimney checked more often than usual, you may build up creosote very quickly. You don't have to burn only premium hardwoods. Less dense woods like elm and even soft maple are abundant and make excellent firewood as long as you're willing to make a few extra trips to the woodpile. If you have access to a variety of species, learn to manage your woodpile. Save the more dense fuel for the coldest months and use the "lighter" wood for kindling fires and during the spring or fall when you don't need as much heat. Many people also have questions about burning artificial logs. Convenience is their strong suit, and in general, they are fine when time is an issue, and you want a quick fire without all the muss and fuss of natural firewood. Usually, they should be burned only one at a time and just in an open fireplace. One should be careful about poking them and moving them around once they are burning since they may break up and the fire may get a bit out of control. Be sure to read the directions on the package carefully. There is nothing better than a crackling fire on a cold winter night. However, the luxury of having a fireplace also comes with risks. There are several steps you can take to make sure that your chimney is safe to use this winter. The best way to keep your chimney in proper working condition is to have it inspected regularly. We recommend that you have your chimney examined every year, before winter, to remove creosote and debris. Check your chimneys structure for cracks, loose bricks, or missing mortar, and check your chimney liner for signs of deterioration. If you find any visible damage, then give us a call. When your chimney is topped with a cap, animals, leaves, and other debris will be prevented from entering your chimney. This will help protect your fireplace for years to come. The damper is the movable plate that sits above the fireplace. Before the first fire of the season, make sure that the damper is opening and closing properly. Creosote is a byproduct of burning wood. Over time, creosote builds up in your chimney and can cause complications. Creosote is toxic and can cause irritated eyes or skin, and respiratory issues. Creosote is also a fire hazard. To prevent against the adverse effects of creosote, have your chimney inspected and cleaned regularly. Make sure no overhanging tree limbs are encroaching on the chimney. Limbs can present a fire hazard and restrict proper airflow. It is best if you choose dense wood such as oak. Wood should be split and adequately stored six months before use. I Heat With Gas. Should My Chimney Be Checked Too? Yes, you should still have your chimney inspected. Although gas is a clean-burning fuel, the fireplace can be obstructed by animals, nesting materials, and other debris blocking the flue. If I have birds in my chimney what should I do? If there are chirping noises coming from your fireplace, it’s likely that you have birds in your chimney. This is common during the spring. Depending on where you live, however, many birds are protected under the Migratory Bird Act and cannot be removed from your chimney. The birds will leave in the fall, but we want to help you protect your fireplace when the next spring season hits. To protect your chimney from this problem, have a chimney cap installed with a spark arrestor. It is crucial that the chimney cap has a metal mesh attached to it so that there is no point of entry for animals or other debris. Plus, chimney caps also provide added benefits. They help prevent against water penetration, and the mesh siding (spark arrestor) will prevent sparks from jumping out of your chimney and causing a fire on your roof. The chimneys job is to expel the byproducts (water vapor, smoke, gases, etc.) that fire produces. The residue these byproducts create that sticks to the inner walls of the chimney is called creosote. Creosote can prevent proper venting of the chimney system, causing dangerous fumes to enter the home. There are other forms of blockage besides creosote such as bird’s nests, leaves, and other debris. 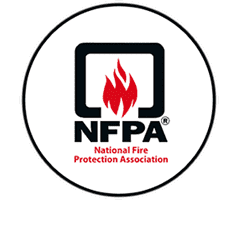 The National Fire Protection Agency (NFPA) recommends having chimneys inspected annually. A leaky chimney usually means that water is seeping through the chimney into a wall or ceiling somehow. It will be hard to tell how exactly the water is getting there unless there is a visual sign of water damage. The source of the issue is at the top of your chimney. There could be cracks in the chimney crown or mortar joints above the roof that are causing water to leak into your home. Usually, the smell coming from your chimney is caused by a buildup of creosote, soot, or other debris. Additionally, rainy days will add moisture and produce an unpleasant smell from your dirty chimney. An inspection and sweep is a good place to start for a smelly chimney because it will remove excess creosote and rule out other common problems that may have caused the smell. During the cleaning, other debris will be removed thus eliminating these options as a cause for the smell. Having a glass fire screen installed to keep the warm air from escaping when there is a fire in the fireplace. Don’t let an unpleasant permeate your home because of a chimney. Give Emberstone a call, and we’ll make sure your chimney is deodorized. Should I use chemical chimney cleaners? Chemical chimney cleaners should never be your sole method of cleaning your chimney. In fact, the Chimney Safety Institute of America (CSIA) doesn’t recommend the consumer use of chemical chimney cleaning products. These products are advertised to remove a portion of creosote from a masonry chimney, but the use of these products alone isn’t an adequate substitute for mechanical chimney cleanings and inspection. These products don’t provide the same level of protection to your chimney system that a chimney sweep would. Leaks or stains on the ceiling may indicate unsafe chimney conditions. Stains around chimneys are usually more than just a cosmetic issue. You should look out for stains from water, creosote, or soot. This is an indication that water is entering the flue. An improperly flashed chimney will most likely be the cause of leakage and ceiling stains. The most obvious concern with ceiling stains is roof leakage. If you have a ceiling stain, let one of our trained technicians inspect your chimney. If your flue is cold, then your fire will be burning slowly. This could result in the smoke spilling into your home rather than rising. The best way to solve this problem is to consult one of our trained technicians to determine the best way to address the issue of a persistently cold flue. Before starting a fire always make sure that you have checked the damper. If it is shut, then smoke will inevitably enter your living space. Over time, a chimney can build up creosote and become clogged. This is an issue that requires professional help from a chimney sweep. We will safely and effectively remove any creosote buildup inside the chimney. Additionally, it is recommended that chimneys be inspected annually to prevent house fires and dangerous smoke buildup. If your chimney was poorly designed or improperly installed, it could cause many issues for you later on. If the chimney is too short in comparison to the home, smoke will spill into your living spaces. Fireplace wood that isn't well-seasoned will produce more smoke than your chimney flue can handle. The excess smoke will spill into your home. What could be wrong with my chimney? If you believe that you have any of these issues, give Emberstone Chimney Solutions a call! What Do I Do If My Fireplace Smells? The smell is most likely due to a natural byproduct of woodburning called creosote. Typically, the smell will be worse in the summer when the humidity is at an all-time high. There could be air pressure issues in your home that are causing air to be drawn down the chimney and into your living area. A sweeping will help but may not solve the problem entirely. A tight sealing, top-mounted damper will help because it reduces the airflow coming down the chimney. What is a spark arrestor? Many people confuse spark arrestors with chimney caps because they both sit on top of the chimney. However, not all chimney caps have the mesh metal siding that spark arrestors have. A spark arrestor prevents the emission of flammable debris from sources of combustion. They are designed to keep sparks and embers from jumping out of the chimney. Spark arrestors usually have a double layer of metal mesh that catches embers but allows smoke and gases to exit the chimney. Spark arrestors also have other functions. They keep animals, leaves, and other debris from entering the chimney. Without this protection, animals can nest in your chimney and cause clogging. What is level 3 creosote? Level 1: creosote is usually a light powder or soot and can easily be removed. Level 2: creosote is often shiny and hard black flakes. This level of creosote is more difficult to remove. Level 3: The most severe and challenging form of creosote is level 3. It is extremely thick and hardened. It is similar to tar. Level 3 creosote is extremely difficult to remove and poses a severe fire hazard. Level 3 creosote is also called glazed creosote. It forms when creosote rapidly accumulates in the flue before the previous layers have dried. As it hardens, glazed creosote dries into a hard, dense substance that can damage the flue and chimney structure. Glazed creosote can be caused by burning unseasoned wood or by burning a fire at a low temperature for a long time. What is most dangerous about glazed creosote is that it is highly flammable. A fire can easily cause the glazed creosote to ignite. This can lead to a fast burning chimney fire. If you believe that there is glazed creosote in your flue, give Emberstone Chimney solutions a call! What is the white discoloration outside of my chimney? The white residue found on the exterior of your chimney is called efflorescence. It may look like the natural aging of a fireplace, but it is a sign of water leaking into your structure. If this situation is left unchecked, it could cause premature aging or deterioration of the chimney structure. Efflorescence is caused when water moves through the chimney and evaporates, leaving behind a salt residue on the outside of the chimney. It then becomes a powdery substance on the outside of stone, block, or brick masonry. The salt deposits themselves aren’t necessarily a structural problem, but they are an indication that there is excess water present inside your chimney. If this problem is left alone, it could cause severe damage down the road. What stainless steel liners require insulation? For gas and oil-fired appliances, liners aren't required to be insulated to meet warranty and installation requirements. Because of the lower flue and gas temperatures, they are less likely to catch surrounding combustible material on fire. However, even though gas and oil-fired appliances aren’t required to be insulated, they will benefit from an insulated liner. Additionally, it is safer to insulate every liner serving a wood-burning appliance. What to do I do if lightning strikes my chimney? According to The National Severe Storms Laboratory, there are an estimated 100,000 thunderstorms each year in the U.S. alone. Because chimneys are the highest point of most homes, they are more susceptible to lightning strikes. After lightning has struck your chimney, your first course of action should be to call the fire department. There may not be visible damage, but the strike could’ve caused a fire in the chimney that you cannot see. After the fire department, you should call a certified chimney sweep to schedule an inspection. Lightning strikes can cause a wide variety of damages that require repairs. A certified chimney sweep will let you know what the damages are, and what is necessary to fix them. If you wait to have your chimney inspected, any damages could fester and become a more pressing issue. Call Emberstone Chimney Solutions if you believe that lightning has struck your chimney. Our main priority is to ensure that your chimney is in proper working condition. This is a common problem that is due to air pressure issues in your home. If you have a well-insulated house, the most accessible route for air to enter the structure is often the unused fireplace chimney. As the air is drawn down the flue, it picks up smoke that is that is exiting nearby from the fireplace in use and expels the smoke into the living area. A solution to this issue is to provide makeup air to the house, so the adverse pressure problem no longer exists. Another solution would be to have a top-mount damper installed on the fireplace that is used the least in your home. Why is it important to have a CSIA certified chimney sweep? The CSIA Certified Chimney Sweep® (CCS) credential was established in 1983. The Chimney Safety Institute of America is governed by volunteer technical experts making it a non-profit organization. The Chimney Safety Institute of America upholds a rigid code of ethics. CSIA uses this code of ethics to protect homeowners against potential fraud. Additionally, if any CSIA certified technician is found in violation of the system of ethics, then their certification may be revoked. CSIA’s mission is to improve chimney education nationwide to eliminate chimney-related hazards such as fires, carbon monoxide intrusion, and damaged chimneys. The Chimney Safety Institute is the nation’s leading resource for chimney safety information.